LOS ANGELES — On a sunny afternoon in May, a petite 14-year-old girl walked through the doors of Public Counsel, a Los Angeles legal services organization, and filled out intake paperwork hoping the organization would represent her in court. She spoke Spanish. She wore Converse sneakers with her school uniform from a nearby public middle school. The government is trying to deport her back to her native Guatemala, which she fled the year before. Alone. She left to escape an abusive relative and join her mother, who was already living in Los Angeles. Since Border Patrol agents discovered her lost in the desert last summer, she has done everything the government has asked of her so far, including showing up three times to immigration court. But she never had a lawyer. Until now. Public Counsel agreed to take her case, ending the girl’s months-long quest to find representation. That spared her from joining the 10,600 migrant kids who failed to find a lawyer to represent them in immigration court in the last two years. Between July 2014 and April 2016, the U.S. initiated removal proceedings against more than 64,000 children who arrived at the U.S.-Mexico border without their parents, according to data from the Executive Office of Immigration Review. Many of these children were fleeing violence in their home countries of Guatemala, El Salvador and Honduras, and were trying to reunite with family members in the United States. In that same period, immigration judges have ruled on 27,500 cases involving unaccompanied child migrants. 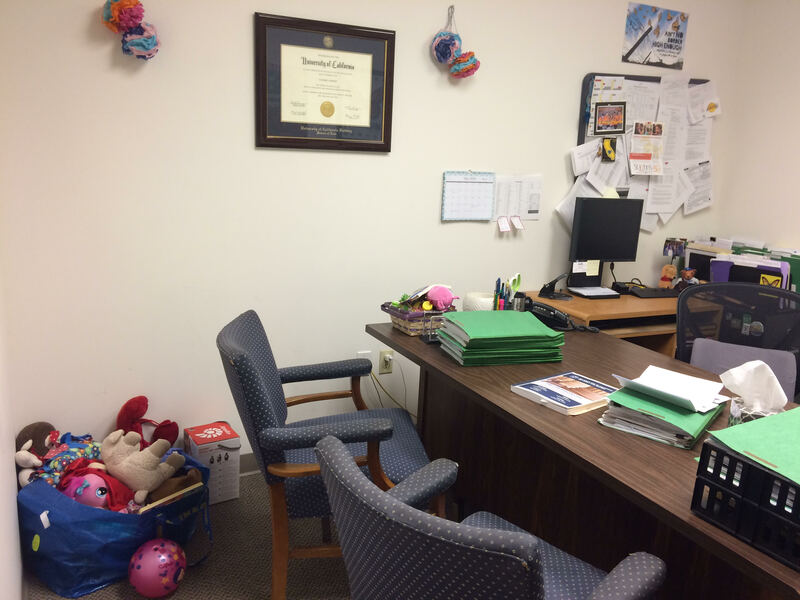 Some 40 percent of those child defendants never found a lawyer to help them. Thousands more minors face the same fate despite government efforts to fund more free lawyers. The teenage client at Public Counsel allowed the Fronteras Desk to observe part of her first visit as long as we did not use her name. 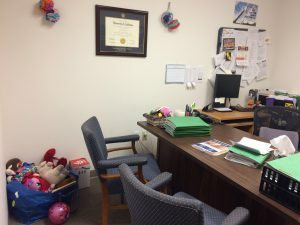 In a conference room lined with law books, the girl met with Public Counsel legal assistant Maria Campos while her mother waited in a lobby downstairs. Campos explained to the girl the ground rules, including that she would have to sign a waiver saying she would be truthful. The girl listened carefully. She wore her dark hair piled on top of her head in a topknot. Occasionally she smiled shyly. Campos then asked the girl if she already knew the immigration court process. The girl nodded. “The procedure is we have to show up to court, we cannot miss it, and come with a lawyer to explain why we left our countries,” she said in Spanish. The girl described her journey last June from Guatemala, which did not go as planned. She said her family hired a smuggler to bring her to Los Angeles, and she was part of a group of several migrants. When she and others discovered the smugglers were planning on demanding more money from their families to get them across the U.S.-Mexico border, they split off on their own. But she got separated, and was lost in the desert on her own for hours. Border Patrol agents found her near Calexico, California by herself. From there she was ultimately turned over to a government-run shelter for six weeks, reunited with her mother in Los Angeles, and put in deportation proceedings. The abuse the girl fled in Guatemala could mean she is eligible for asylum or a special legal status for foreign kids who were abused, abandoned or neglected, known as Special Immigrant Juvenile Status. But winning either asylum or Special Immigrant Juvenile Status is complex and requires multiple steps. After the girl showed up to her immigration court dates three times without a lawyer, the immigration judge told her she had to find one to come to her next hearing in the fall. “He said in September I have to come to court with a lawyer, otherwise, my mom will have to represent me,” she said. Advocates say it is not uncommon for immigration judges to ask parents to represent their children if there is no lawyer. But the girl’s mother, who works as a nanny and a house cleaner, doesn’t know immigration law or speak much English. Lawyers can charge several thousand dollars for these cases, which the family could not afford. While there are free legal service providers in the Los Angeles area, they were all booked. Finally after about four months of waiting, she made it off the waitlist to have this meeting with Public Counsel. She was lucky— the organization has since closed its waitlist because of overwhelming demand. It is one of a few legal service organizations that receives federal funds to represent unaccompanied children in immigration court at no cost. According to Public Counsel, the organization has won 95 percent of cases for child clients, meaning they get to stay in the U.S. legally. But such programs to represent children at no cost are not universal and only cover a small portion of unaccompanied children in immigration court. Currently the federal government does not interpret existing law to require government-provided lawyers to children in immigration court. There is a federal statute that requires the Secretary of Health and Human Services to ensure “to the greatest extent practicable” that unaccompanied child migrants have legal counsel. In the past, that meant the Office of Refugee Resettlement, under the Department of Health and Human Services, funded legal orientations— known as “Know Your Rights” presentations— for children during their stay in government shelters to explain the basics of the deportation cases looming over them. The agency also put some kids in touch with lawyers willing to help them on a volunteer basis. Then two years ago, when the number of child migrants crossing the border surged, the agency began a pilot program to pay for attorneys to represent a small portion of the kids at no cost. This past year the agency expanded the program further, including nine priority cities: Dallas, Houston, Los Angeles, Memphis, Miami, New Orleans, New York City, Phoenix and the Washington, D.C. area. “We were able to, within the budget, build a direct representation program that would serve more children, but certainly not all of the children,” said Bobbie Gregg of the federal Office of Refugee Resettlement. This year ORR will spend $54.9 million on legal services for child migrants. That funding covers the cost of paying lawyers to directly represent 8,000 children in court this year, as well as legal orientations, volunteer lawyer coordination and a program to support unrepresented kids on the days they appear in court. A few thousand more children will get help through other federal initiatives. The Executive Office of Immigration Review, the body in charge of the immigration courts, will spend $400,000 this year providing lawyers to certain unaccompanied children in Baltimore and Southeastern states. 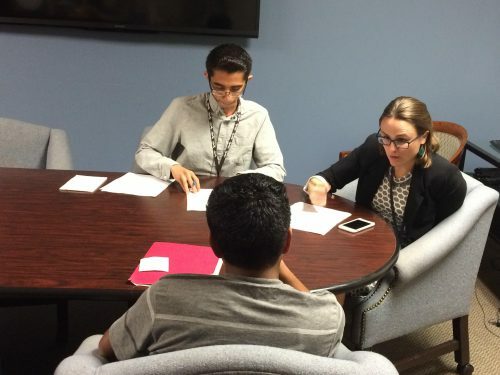 A program with the U.S. Department of Justice and AmeriCorps provides funding and education grants to 80 lawyers and paralegals to work with nonprofits to represent child migrants under the age of 16. That program will receive $6.4 million dollars over three years, and has so far helped 2,200 migrant children in its first year and a half. In California the legislature allocated funding— almost $6 million over the last two years— to nonprofits to provide legal services to unaccompanied children. The state awards the organizations $5,000 for each child’s case, with plans to help 580 kids this year. Furthermore, the state’s Attorney General, Kamala Harris, has recruited law firms to take on child migrant immigration cases on a pro bono basis. But despite this patchwork of new initiatives to provide representation, there are not expected to be enough free lawyers for all the child migrants who need them. Already almost 33,000 Central American kids arrived at the border between October and May, with many more expected in the coming months. Advocates who have worked to represent arriving unaccompanied minors over the last decade say the current level of resources to represent these children is unprecedented— but so is the number of children arriving at the border in recent years. “The children are literally running for their lives,” said Wendy Young, the president of Kids In Need of Defense, an organization that represents child migrants and trains lawyers to defend children from deportation on a pro bono basis. Young said Central American gangs and criminal organizations are targeting children and using violence to forcibly enlist them into their ranks. Judy London of Public Counsel, where the Guatemalan teenager is getting help, also praised the new influx of funding for representation but said it’s still like a lottery, determining which kids get lawyers at no cost, and which do not. “The problem is that every child deserves to have a fair immigration court proceeding, and that cannot happen without a lawyer,” London said. London believes representation makes the difference whether children can successfully prove they qualify for protection from dangerous situations in their home countries. Children with lawyers are five times more likely to win their immigration court cases according to a 2014 analysis by Syracuse University’s Transactional Records Access Clearinghouse. “Until every child is guaranteed legal representation, there will not be fairness and essentially children will remain at extreme risk,” London said. One of the most common ways that attorneys can help children win the right to stay in the country is by assisting them in applying to U.S. Citizenship and Immigration Services for Special Immigrant Juvenile Status or asylum. If USCIS grants the petition, it will close the child’s deportation case in immigration court. Since October 2014, USCIS granted more than 15,000 children Special Immigrant Juvenile Status and granted about 6,000 children asylum. These cases are time consuming for lawyers, demand specialized expertise and can take years to complete. At the same time, these cases can also be time sensitive, since the window for some legal arguments, like child abandonment, can expire when a child turns 18. Advocates argue that it is in the best interest of the government to provide children with lawyers, because lawyers ensure immigration proceedings can run more efficiently and also increase the likelihood child clients will show up in court. Another analysis by Syracuse University found that over the past decade, around 33 percent of children showed up to court for a final decision when they did not have a lawyer, while some 95 percent of children showed up if they had lawyers. When children miss their court dates, they are automatically ordered to be deported “in absentia.” More than 10,400 kids have been ordered deported in absentia since July 2014. Some of them may still be in the country but their deportation order could be activated if they have a run-in with law enforcement. Around 4,000 child migrants who arrived without parents have been sent back to their countries of origin in fiscal years 2014 and 2015, according to data from Immigration and Customs Enforcement. Soon a federal judge in Seattle will be deciding whether the federal government has an obligation to provide attorneys to all children in immigration court who are unrepresented. “The core claim in our case is that you cannot, consistent with the constitution, put children in immigration court where they have to face off against trained government prosecutors— without also providing the children lawyers of their own,” said the ACLU’s Stephen Kang, one of the lawyers bringing the suit. Lawyers for the federal government have argued that there is no basis under federal law or the constitution that requires the government to provide counsel to minors in immigration court at taxpayer expense. This spring the judge denied the government’s efforts to dismiss the case, and a trial is set for September. 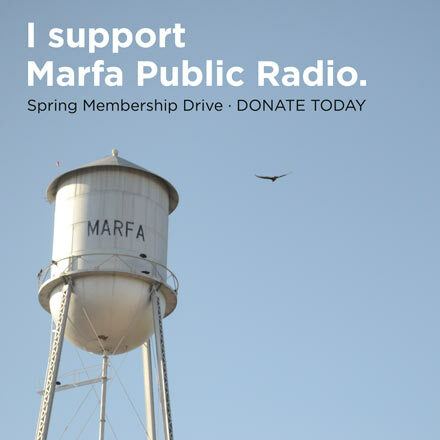 This story was reported by Jude Joffe Block, in collaboration with Fronteras, The Changing America Desk, a consortium of NPR member stations in the Southwest. This entry was posted in KRTS News and tagged Central American Migrants, Central American Violence, Central Americans, Courts, Fronteras Desk, Immigration, Immigration Law, Law, The Costs Behind a Migrant Crisis, Unaccompanied Minors. Bookmark the permalink.